That is a principal that guides the life and work of Renée Gordon, a local Tallahassee attorney. Although she has made Tallahassee home, Renée has journeyed far and wide to get here. As a child of immigrant parents who grew up in a multicultural community in New York, Renée understands the importance of being inclusive of others and extending a helping hand. While her path has not turned out to be quite how she imagined as a child, many in the Tallahassee community are grateful Renée landed here, in a community and state that needs her skills and passion! Like many of us, Renée’s path has not been predictable. As a graduating high school senior, Renée aimed high and found herself among many elite scholars during her undergraduate program at Yale. She had always thought she would have a career in medicine, but that plan quickly changed. While the sciences intrigued her, she always harbored an interest in history, cultures and languages. Once she let go of medicine, she decided majoring in History would allow her to pursue her true interests. And that she did—spending a month in France as part of an intercultural exchange, studying for a semester in Madrid in Spanish during her junior year, and writing about how cultures influence each other. At the same time, she threw herself into tutoring New Haven students at Yale’s African-American Cultural Center. There, she discovered her love of teaching, eventually becoming a leader of the program. The joy she experienced from helping others reach their potential and assisting them on their journey was life-changing. While Renée felt discouraged at first by not pursuing medicine, she continued to pursue teaching. After college, Renée joined Teach for America, a non-profit organization that places college graduates in under-resourced schools. As part of the program, Renée spent a month living in Mexico where she honed her Spanish skills in preparation for teaching either in a bilingual or dual-language program in New York. These trips outside of the United States only strengthened her desire to be involved in cross-cultural exchange and travel. “When you experience a world of people so similar and yet so different than yours, it opens your mind up and allows you to think outside of just what affects you. I think everyone should have the opportunity to experience a culture that’s not their own. It changes your life for the better,” says Renée. Renée went on to get a master’s degree in education in order to become a permanently certified teacher. 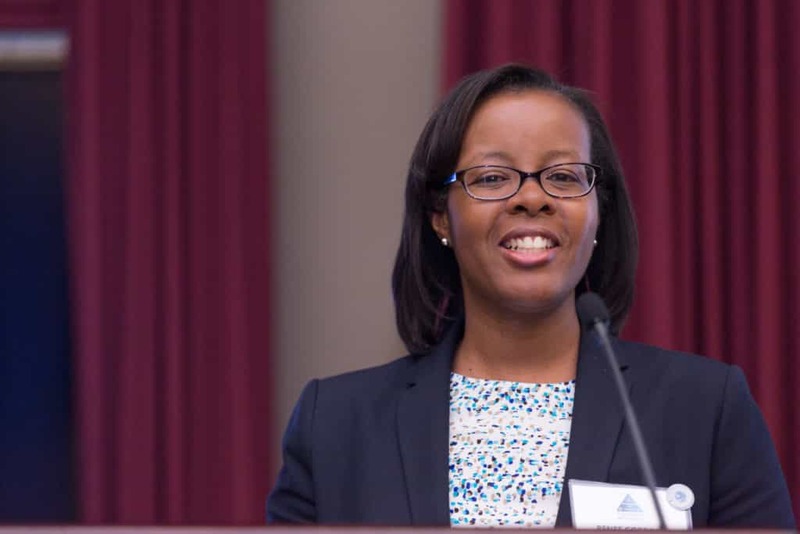 While doing so, she also began applying to law school believing that would allow her to have even more of an impact in the lives of students like the ones she had encountered. Before long, she would become a lawyer. While in law school in North Carolina, she again spent a semester studying abroad in Spanish, this time in Mexico City. She loved the many opportunities she had to try to dispel misunderstandings her classmates had of the American legal system and to learn as much as she could about theirs. After clerking for Justice Peggy A. Quince on Florida’s Supreme Court, Renée went on to work for the Florida Legislature. Altogether, she spent four years with the Senate, working on education and employment law legislation. She was there during a rewrite of Florida’s Education Code and helped analyze such bills as the Florida Minimum Wage Act and the Domestic Violence Leave Act. After analyzing policy issues at the Senate, Renée joined the State of Florida’s Office of the Attorney General. She now heads the Bureau she was hired into. Through all of these amazing experiences that have asked a great commitment of her, Renée has still made time to contribute to nonprofits and this community. She has served as a literacy volunteer and currently heads a local Toastmasters group. 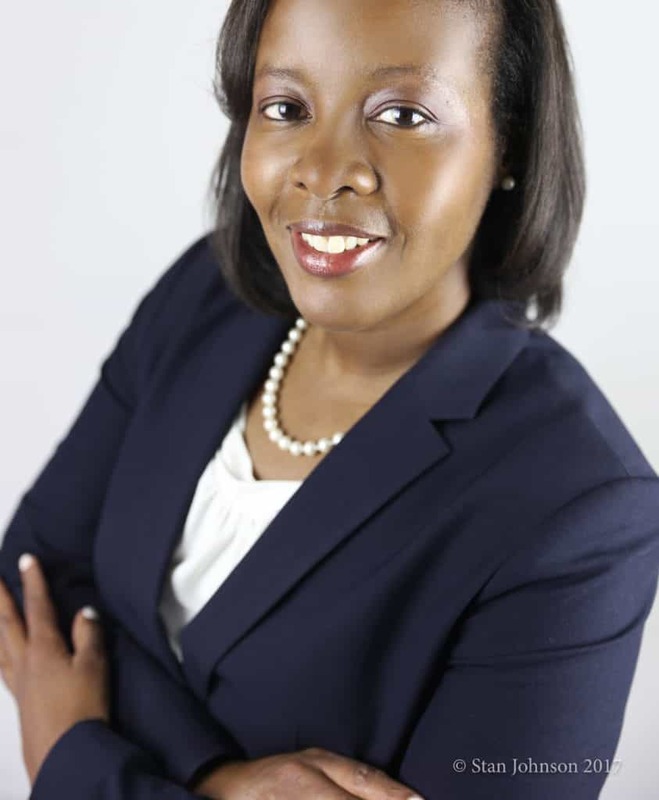 After several years of helping LSNF with its signature event, Jazz for Justice, Renée received a chance to join LSNF’s Board of Directors through the Tallahassee Barristers Association. Through the many paths Renée has taken, the one constant is her insatiable impulse to help others. Regardless of the university or the employer, Renée’s desire to create change has always been strong. We are lucky to have had her guidance at LSNF, and because of her passion to share her experiences and knowledge with others, we honor her as we empower the women who have over its history, created the LSNF that now exists.